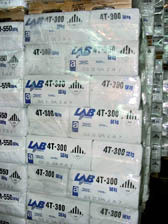 On July 25, lab Chrysotile, Canada's major producer of chrysotile asbestos, filed for bankruptcy protection. The Canadian Bankruptcy and Insolvency Act grants lab a period of 30 days to submit a proposal. Environmentalists hoped this would signal the end of chrysotile asbestos, allegedly a health hazard. "If they are thinking of selling their mining equipment then they won't be mining chrysotile asbestos for much longer," says Laurie Kazan-Allen, coordinator, International Ban Asbestos Secretariat, a London-based ngo. A company release says the company filed for bankruptcy due to persistent financial conditions over the last few years in the chrysotile sector. The company was exploring the possibilities of selling its land, buildings and mining equipment, or setting up other partnerships, adds the release. In June last year, the International Labour Organisation passed a resolution calling for a ban on the use of all kinds of asbestos, including chrysotile, claiming that an estimated 100,000 workers die every year from diseases caused by exposure to asbestos. Jeffrey Mine, another Canadian chrysotile producer, is also facing bankruptcy. Canada exports more than 90 per cent of all the asbestos it produces. The industry has the patronage of the Canadian government.